With the week I'm having, I need a sweet pick-me-up...and I'm seriously craving something sweet and salty - the best combo. 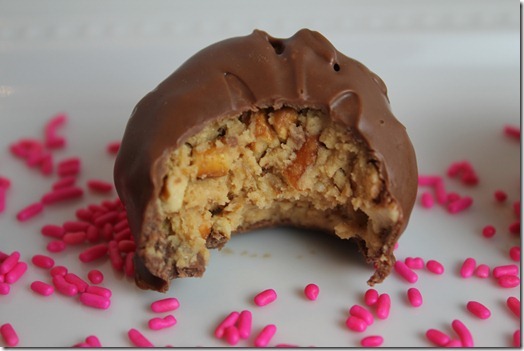 These Peanut Butter Pretzel Bites look like just the prescription I need and look so easy to make. Yum! 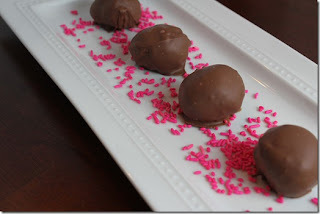 These would be great at any Clemson tailgate, or perhaps a sweet treat for your Valentine next month! Directions: Stir together peanut butter, confectioners sugar, unsalted butter, and the crushed pretzels. Roll into 1″ balls. Freeze for 30 minutes, or until firm. Melt chocolate over low heat. Dip balls into melted milk chocolate, and refrigerate until set.